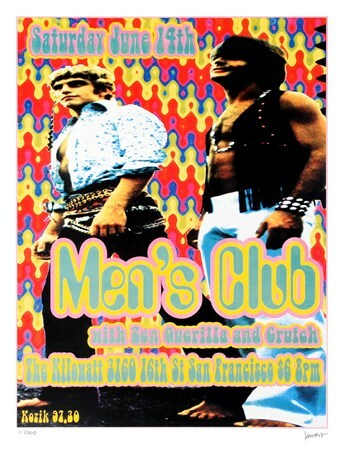 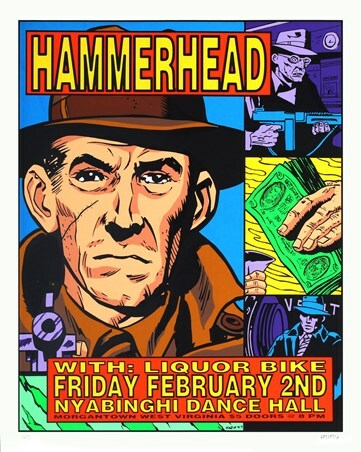 Rare Art Print: Frank Kozik is extremely well known for his ability to produce some of the most stunning rock music advertising posters. 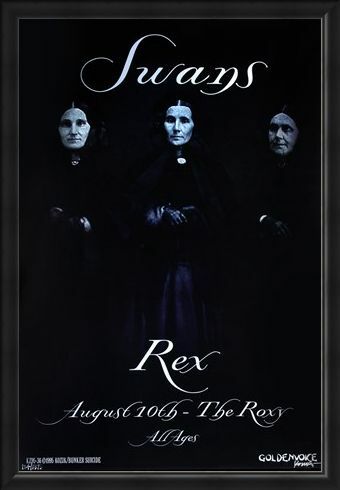 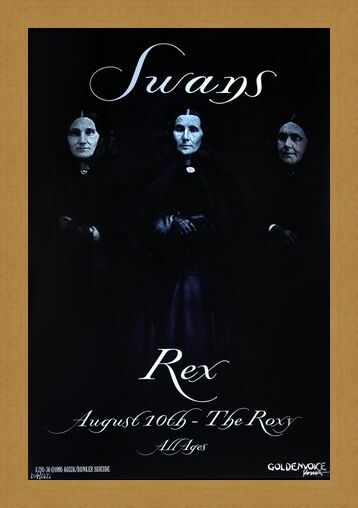 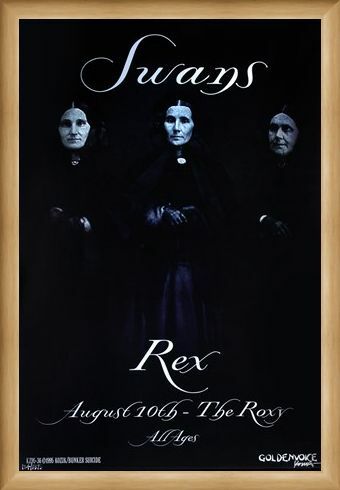 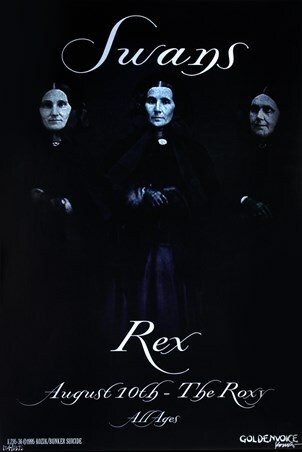 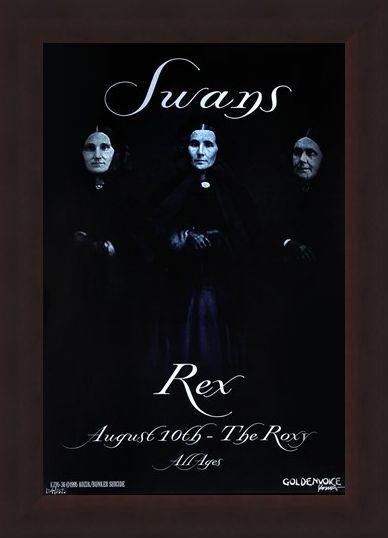 This one advertises the post punk band The Swans playing at The Roxy in Los Angeles on August 10th, 1995. The Swans described themselves as being majestic and beautiful but with really ugly temperaments - hence the name of the band! 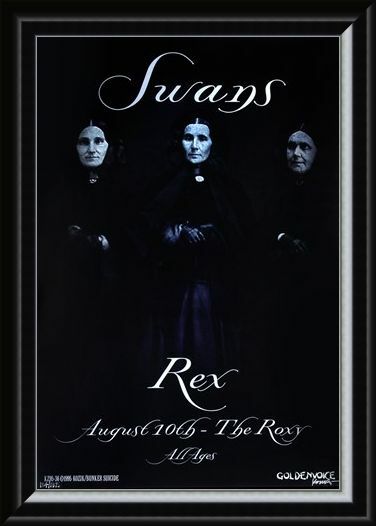 Lead singer Michael Gira was responsible for a majority of the song writing and he also played a wide variety of instruments too. 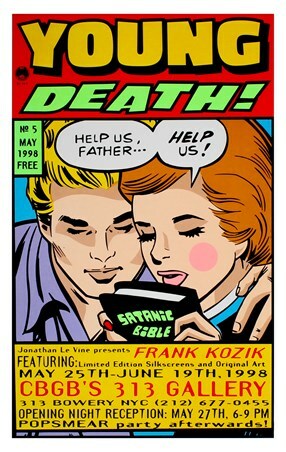 This fantastic advertising print is a rarity, being signed and numbered by the graphic artist himself - Frank Kozik. 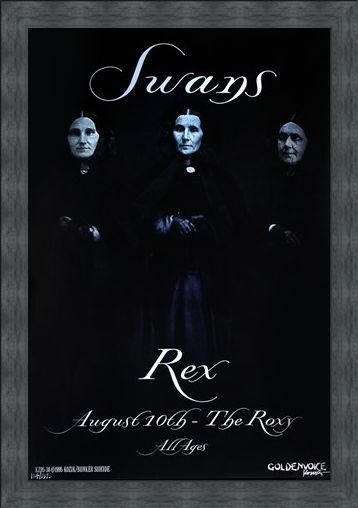 So if you are a big fan of post punk and want a very special limited edition art print to hang on your wall, then what better than this fantastic signed piece of advertising history. 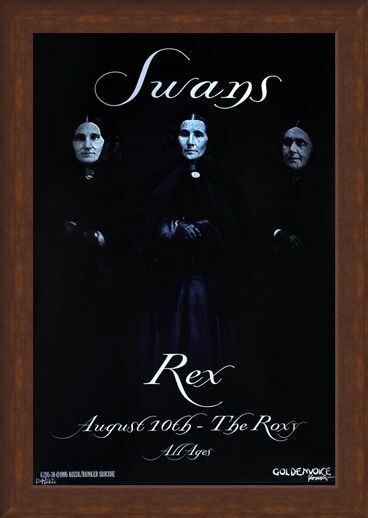 High quality, framed Swans at the Roxy, Frank Kozik limited edition print with a bespoke frame by our custom framing service.